Brown Thomas Fashion Bursary 2015. On my lunch break, Thursday, I decided to nip in to Brown Thomas’ first floor. 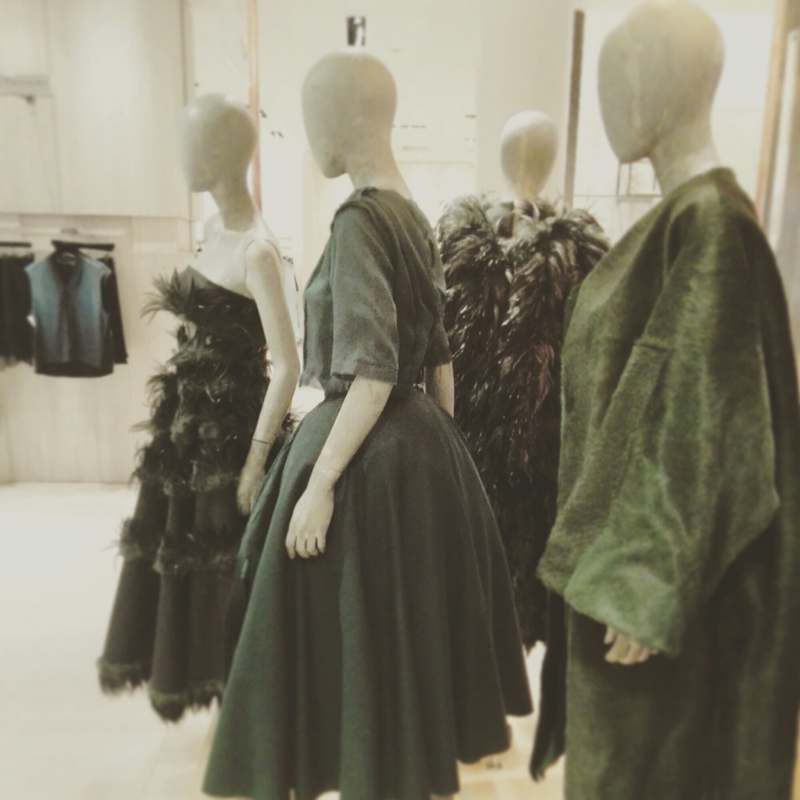 Upon escalating, there to greet you is a mouth-watering display of green, by the young talented Irish designer Daniel Roden. An NCAD graduate, Roden explored the hue and based his four luscious designs on the superstition surrounding green with haute couture. How daring! Green: An exploration of tonality and texture. Intricately woven strips of bottle green wool paired with mounds and mounds of dyed feathers, silk and cashmere was enough to satisfy my lunch time cravings. A must see for anyone remotely interested in rich textures and an appetite for style. Roden’s exhibit is located for a limited time only on the first floor, women’s wear in Brown Thomas, Grafton Street, Dublin 2. Natalie B. Coleman: All the Jewellery I Never Got.